Juan is a software developer who got a very early start in Computer Science. At 12 years old, his uncle bought him his first computer and introduced him to the world of tech. “BASIC” was his first programming language. He loved the way the computer obeyed his commands and the possibilities that it offered, and still does today. Professionally, he started developing desktop applications with Delphi / Oracle but soon after focused on mobile application and web development. 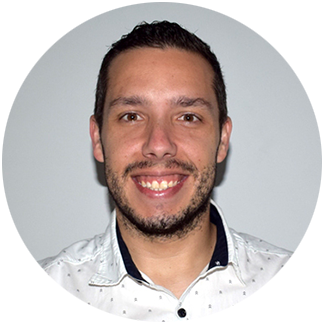 In recent years, Juan worked at an international web security company where, in addition to his work as a developer and technical lead, he performed the functions of Scrum Master gaining valuable experience in agile environments. During this period he specialized in back-end and front-end technologies such as Laravel, Codeigniter, Angular, Ionic framework, and Bootstrap. Out of the office, Juan enjoys family time with his lovely wife Patricia and his precious son Fabián. When Fabián, who is full of energy, gives him a break, Juan relaxes doing some sports, reading about technology / programming and playing Ukulele. Discover why an Angular programmer would use Vue over Angular any day of the week.